We are at an exciting stage in the history of the Hall! The heart of our experience established the foundation, upon which we have built our careers and personal lives. It is our goal to ensure that we have a chapter and a structure that are reflective of the values and traditions of the Hall at Trinity for years to come. The purpose of this campaign is to proactively raise the funds necessary to preserve and protect the Hall by addressing renovation items and by building an endowment fund. The campaign plans to raise at least $2,500,000 in order to accomplish these goals. 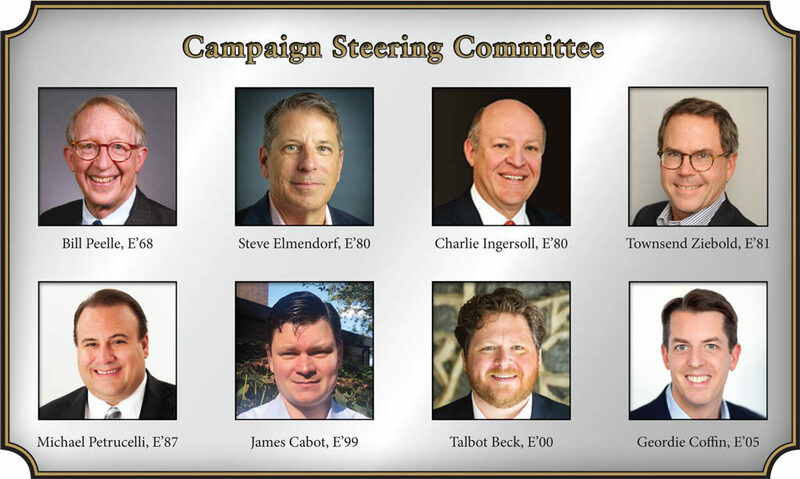 To view the development and project plans or a list of brothers who have already pledged their support to this campaign, please review the campaign brochure and donor board by clicking the images on the upper left side of this page. For questions regarding this campaign, please contact our campaign account manager, Haley Chrismon, at hchrismon@elevateims.com or at 607-533-9200 ext. 30328.